With a mission of raising awareness and acceptance of reverse mortgage loans among related professionals and consumers, NRMLA’s second annual Reverse Mortgage Education Week was a success on every level. NRMLA’s widely promoted webinar series attracted more than 1,100 registrants including financial planners, in-home care professionals and executives, real estate agents, staff from social service agencies and local governments, mortgage professionals, and more. Education Week introduced new audiences to a versatile financial tool that can help their clients pay for home care and modifications, buy a new home or buy-out an ex-spouse, and generally support their desire to age in place. 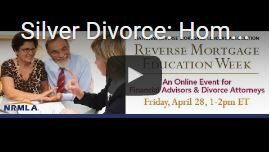 And because the webinars are recorded, and posted to NRMLAonline, you can continue to share Education Week resources with the professionals in your network who want to learn more about reverse mortgages. 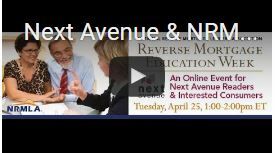 Through a partnership with Next Avenue, public media’s online resource for America’s booming aging population, NRMLA reached hundreds of consumers for a live Q&A with Certified Reverse Mortgage Professionals. Recordings of the Q&A are posted to NRMLAonline and NRMLA’s consumer education website, reversemortgage.org. Richard Eisenberg, Next Avenue’s Managing Editor, interviewed NRMLA experts for the webinar and also wrote about it for the site, which has served over 40 million people. His article was also published on Forbes where it’s already been viewed over 1,200 times. But that’s not all. NRMLA’s messaging for Reverse Mortgage Education Week, timed to coincide with Financial Literacy Month, was promoted to the news media and on social media. 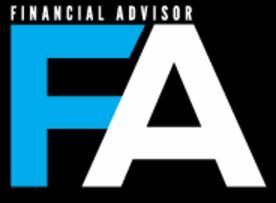 Read more about our press coverage in the Chicago Tribune, Financial Advisor, and Mortgage News Daily below. 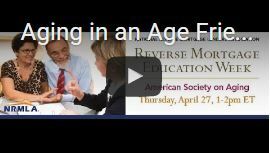 Reverse Mortgage Education Week would not have been possible without the leadership of NRMLA’s PR and Education Committees, our CRMPs and expert presenters, and to all of you who Tweeted, Posted, Shared, and promoted our webinars. We thank you for helping to make NRMLA’s Second Annual Reverse Mortgage Education Week a resounding success! NRMLA’s media outreach in advance of Education Week and coverage of our activities earned placements in the Chicago Tribune, Financial Advisor Magazine’s Expert Views, Forbes, Home Health Care News, Mortgage News Daily (Rob Chrisman Commentary), Home Care Daily, and Reverse Mortgage Daily. 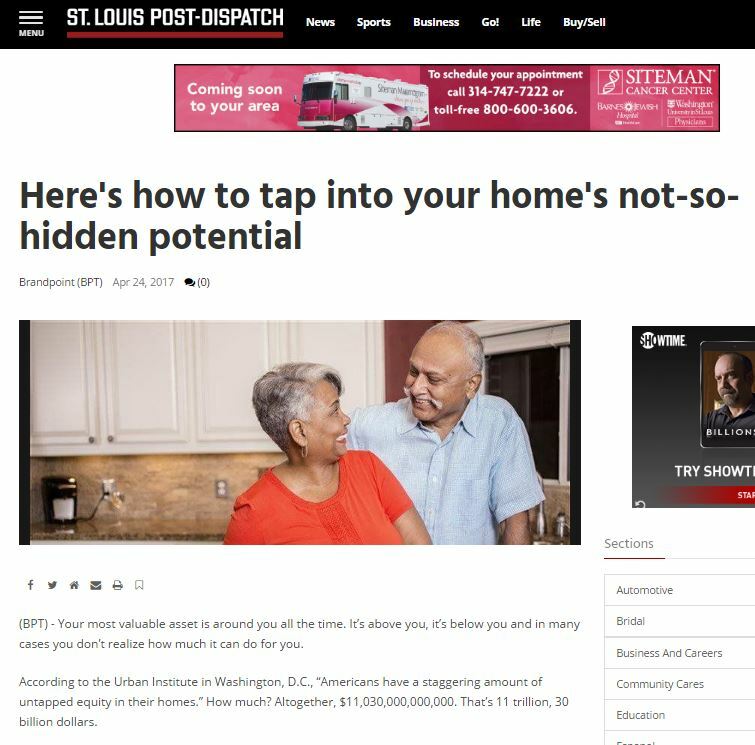 “Here’s How to Tap Into Your Home’s Not So Hidden Potential” is an article NRMLA placed in 1,100 newspapers across the country last week to educate consumers about their home equity options including the use of a reverse mortgage loan for homeowners 62 and older. The article directs readers to NRMLA’s consumer education website www.reversemortgage.org/HomeEquity where we’ve posted an infographic and information explaining home equity. 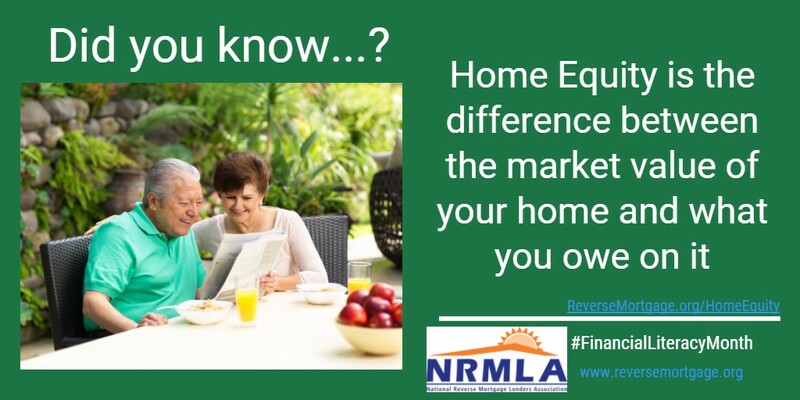 Each day during the month of April, which was Financial Literacy Month, NRMLA posted financial factoids and definitions of important terms such as home equity, net worth, and reverse mortgage. The posts generated 16,000 Twitter impressions and a total Facebook reach of 2,500 people.